Funky. Fashionable. Chic. Sleek. Shopping in Kathmandu is an experience like no other. Kathmandu offers everything from luxury boutiques, shopping centres, to bargain outlets and markets. It’s the experience of shopping here that people love to return to again and again. Shopping can be very rewarding and exciting in Kathmandu. 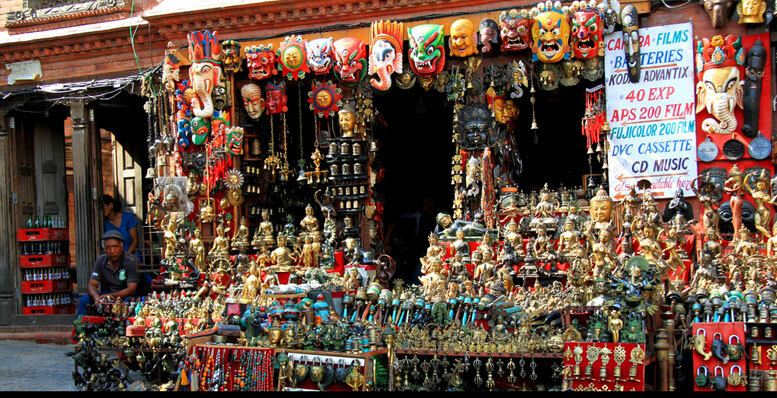 There are numerous tourist shops on the main streets and in the hotel arcades brimming with tempting jewelry, statues, and other typical Nepalese handicraft. Each place has its specialty product which is unique. Bhaktapur, for instance, is the place to buy pottery. The Traditional Craftsman’s Colony in Patan is a famous center for Nepalese handicraft. You may get carved-wooden items while at Patan. As for jewelry, buyers can opt for loose gems or custom-made items. For sheer variety of products and brands in all price ranges, Kathmandu offers a unique shopping experience. From glitzy malls to trendy boutiques, you can find almost anything and everything that caters to your shopping list. For premium brands and high fashion, Durbar Marg is consumers’ Mecca. It has all the high-end fashion requirements. For fashionistas, there is no other alternative to Durbar Marg. 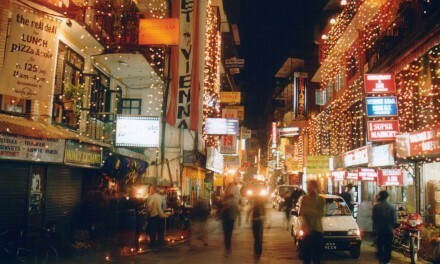 Thamel area in particular is popular choice for souvenir and handicrafts. Kupondole, Lazimpat and Dillibazaar are famous for its popular boutiques. From affordable to extravagant design, all that needed for a traditional look is here. New Road caters to the budget-conscious shoppers. Jhamsikhel fulfills the gastronomical whereas shopping malls like Civil Mall, NLIC City Center, Bluebird Mall, Times Sqaure Mall, Kathmandu Mall and UWTC make their locations famous because of their presence. You can experience everything from luxury boutiques, malls and department stores to street markets and local designers.